Dutch dance royalty, Fedde Le Grand, today releases a new and exclusive cut of his album highlight 'Down On Me'. The penultimate song on his critically acclaimed album 'Something Real' released earlier this year, had already put itself firmly in the set-list of DJ's across the globe wanting to inject some true FLG energy into their shows, likewise proved a firm favorite in playlists of Fedde fans throughout and topping DMC's Buzz Chart. 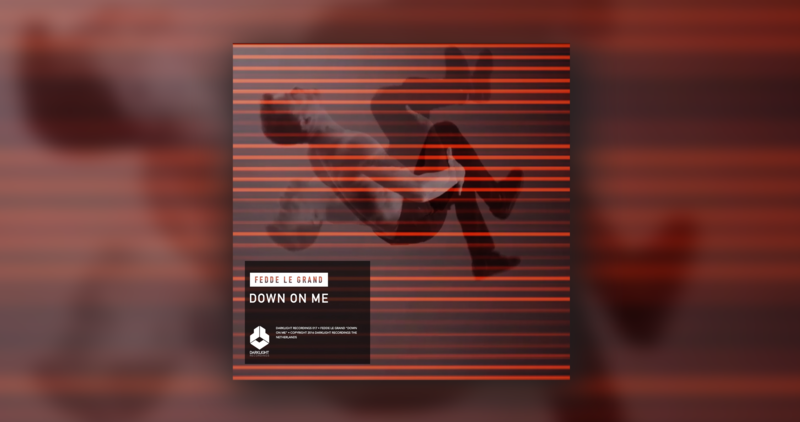 Now with the sublime new cut fittingly dubbed the Original Mix, Down On Me is ready for you in any form and shape you like it! Coupled with the track comes a lyric video that intertwines breakdance and acrobatic visuals with clips from Fedde's headline shows this year. Giving the track a new depth and vibrancy, the video has come at a perfect time to remind dance music fans why Fedde is still at the top of his game.